The Punch Powertrain Solar Team, comprised of engineering students from the University of Leuven in Belgium, unveiled its entry for the Bridgestone World Solar Challenge, which will take place in Australia from October 8 to 15, 2017. The car - Punch 2 - was presented at an official ceremony for the press on June 21, 2017. The event revealed the new-look paintwork in white, blue and green, all of which were specially developed for the team by Cromax, one of the three premium refinish brands of Axalta Coating Systems. The waterborne formulation and highly productive Cromax refinish system is aligned with the sustainability agenda behind the annual solar powered race. The livery includes the team’s new mascot - a boxing kangaroo. “Building the Punch 2 was the most intense 12 months of our lives. We’re proud of what we’ve achieved and very grateful for the support we received from Cromax,” says Robert Kuchera, Business Relations and Events for Punch Powertrain Solar Team. Cromax worked with the student team throughout the production process in order to achieve the best final look and weight for the carbon fiber car body. All of Punch 2’s painting was carried out in May and June by the team at Axalta’s Cromax Training Centre in Mechelen, Belgium. One of the challenges was to get the highest quality paint finish while keeping weight to a minimum. To maintain the best possible aerodynamics, a senior Belgian Cromax Technician will airbrush the new boxing kangaroo mascot onto the front fender. The Cromax logo will also be featured on the car as well as the team’s clothing, support convoy, and publicity material. 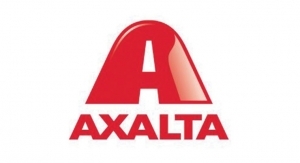 Axalta’s support of the Punch Powertrain Solar Team through its Cromax brand reflects the convergence of the company’s product technology, commitment to motorsports, university relations program, and corporate social responsibility initiatives. Its participation in university racing teams enables Axalta to help students recognize not only the role of coatings in motorsports but also the applied technology, engineering, and innovation that go into the company’s products.